Captain Ian McNaught (that’s him on the left) is back at the controls. 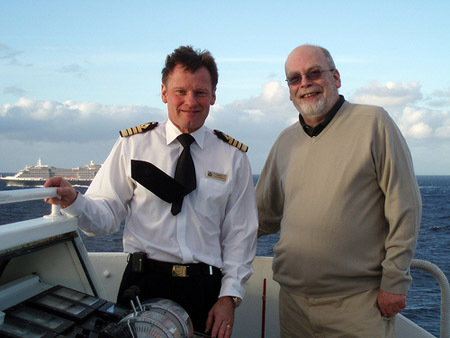 He has been on leave since taking Cunard’s QE2 to Dubai last November, and this week he took charge of Queen Victoria. I hope he’s learned to love his new charge. 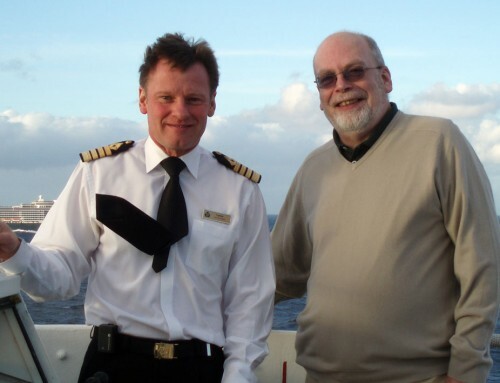 When I sailed with him on the QE2 to New York in January 2007, his broadcasts to the passengers every day at noon were peppered with jokily disparaging references to Victoria, which was crossing the Atlantic for the first time, and was always in sight about half a mile away. Capt McNaught joined Victoria in Singapore, which was the venue for the annual World Cruise dinner. 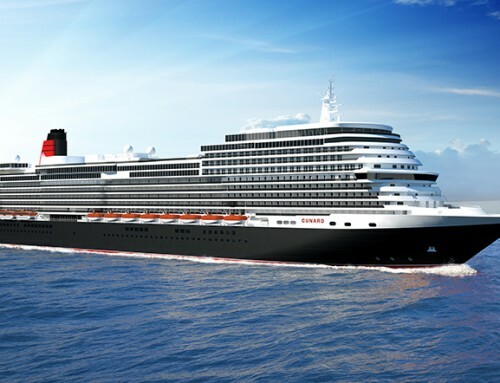 Only for those passengers who are making the entire voyage, it was hosted by Cunard President Carol Marlow, who will be staying on board for a few days. I’m sure Captain McNaught won’t be saying anything to upset his boss.